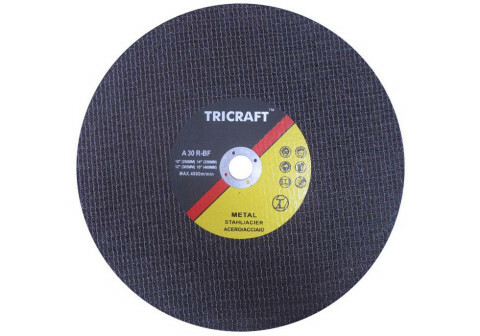 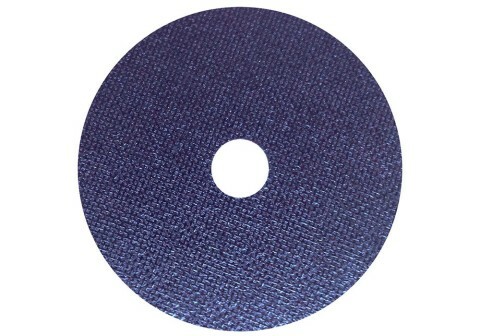 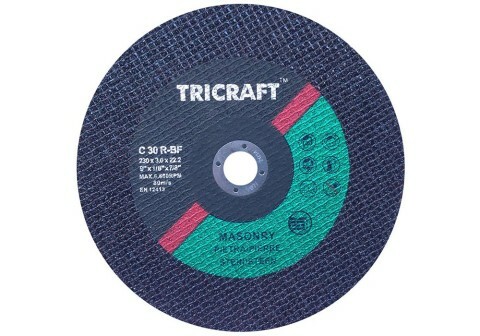 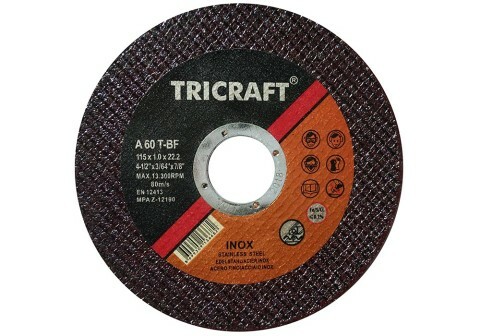 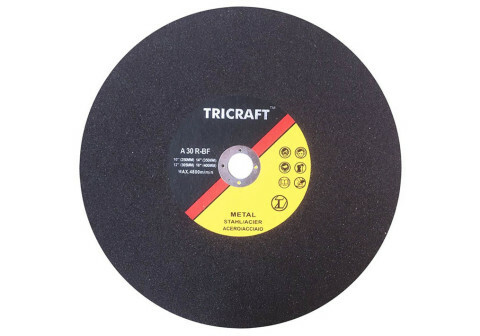 Tricraft Die Grinder Cutting Wheels &　Discs , Type 1 , use with Die Grinder, 3" & 4" , 80M/S .Application :General Steel , Stainless steel , Inox , working in hard-to-reach areas or in close quarters. 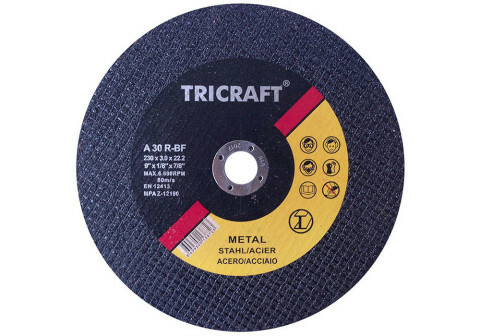 Tricraft Chop Saw Cut Off Wheels , Type 1 , Used on low-power, light-weight cutoff saws , 12" & 16" , 80M/S .For general purpose metal and steel and applications – structural steel cross sections, pipes, and tubing. 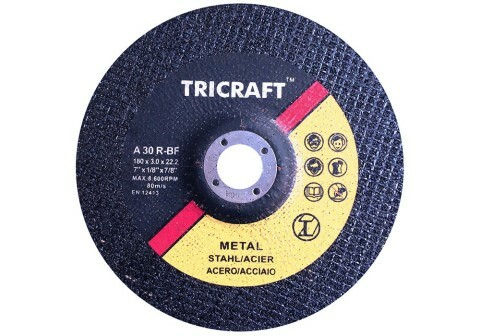 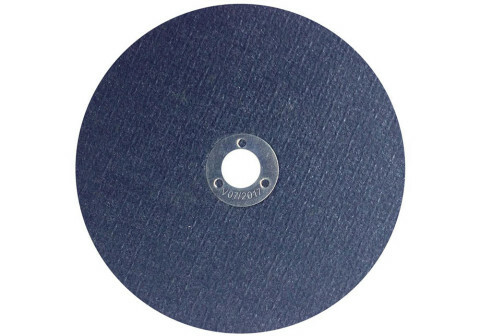 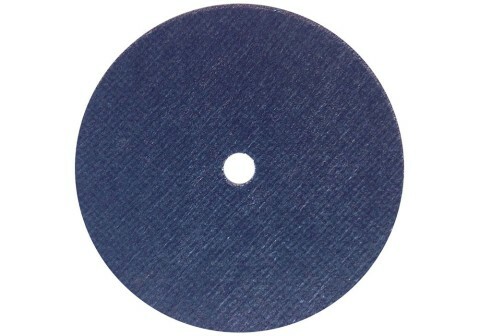 Tricraft Gas Saw Cut Off Wheels & Blades , Type 1 , Used on high speed portable or gas saws , 12" & 14" , Three fiberglass nets reinforced , 100M/S .A - Aluminium Oxide For cutting steel and all ferrous metals.C - Silicon Carbide For cutting stone, concrete, and brick.